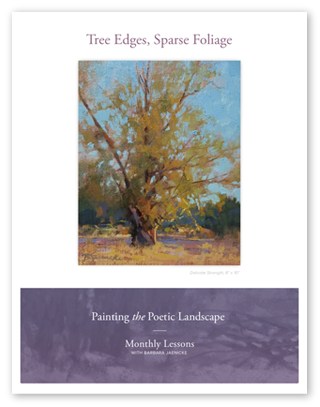 Handling tree edges can make the difference between having a harsh, overly stiff tree or a more delicate, poetic tree. 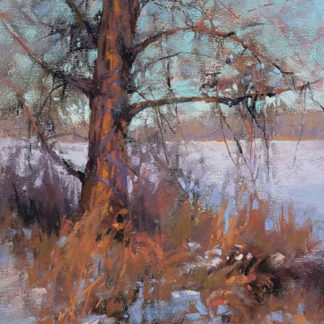 Learning to see trees in terms of masses with generalized value structures rather than the individual spotty details within the masses is the important skill to learn here. 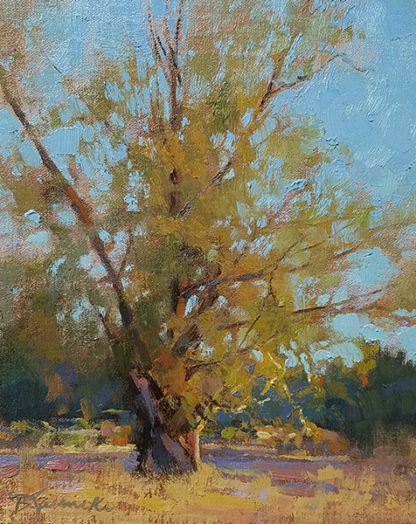 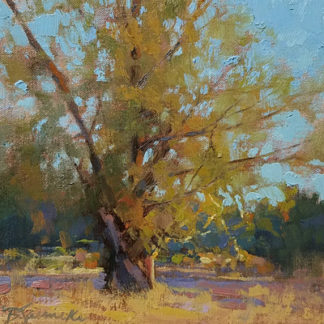 In this lesson, I’ll show you how to develop connected masses of tree foliage for a sparsely foliated tree (early spring or late fall). 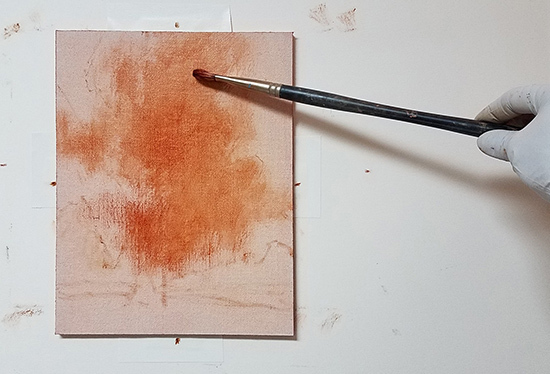 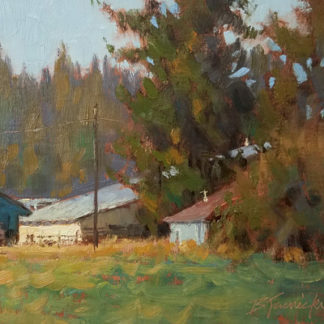 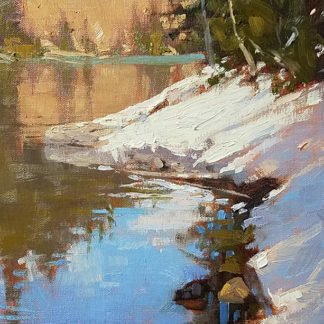 The steps will include how to plan out foliage masses in a sketch, block it in, and then build the painting so that the finer details are added at the end. 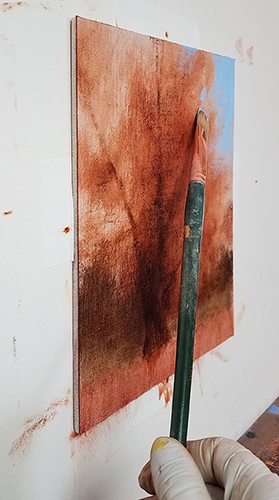 The oil demo shown here will also include several photos of how to hold the brush at various stages in order to make the appropriate marks on the painting.